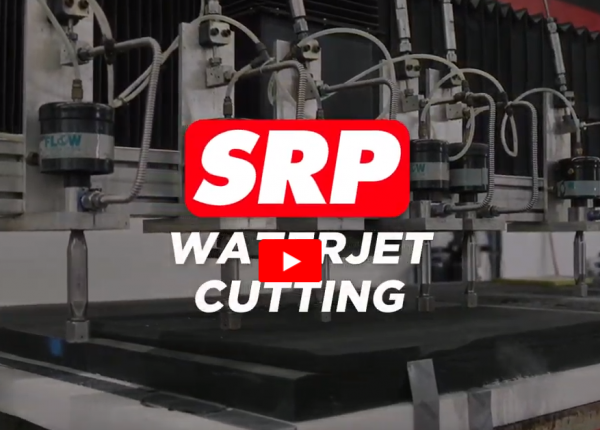 Using SRP’s Waterjet cutting services, custom shapes and parts can be cut with a whole new level of accuracy and reliability. Streams of water, pressurized at up to 50,000 psi, create a jet of water that travels over 2.5 times the speed of sound. Released through a precision orifice as small as 0.003 inches in diameter, the jet forms a stream, which quickly and precisely cuts through a wide range of custom selected materials from the softest elastomers to rigid plastics.